Tradesman trim, Bright White Clear Coat exterior. 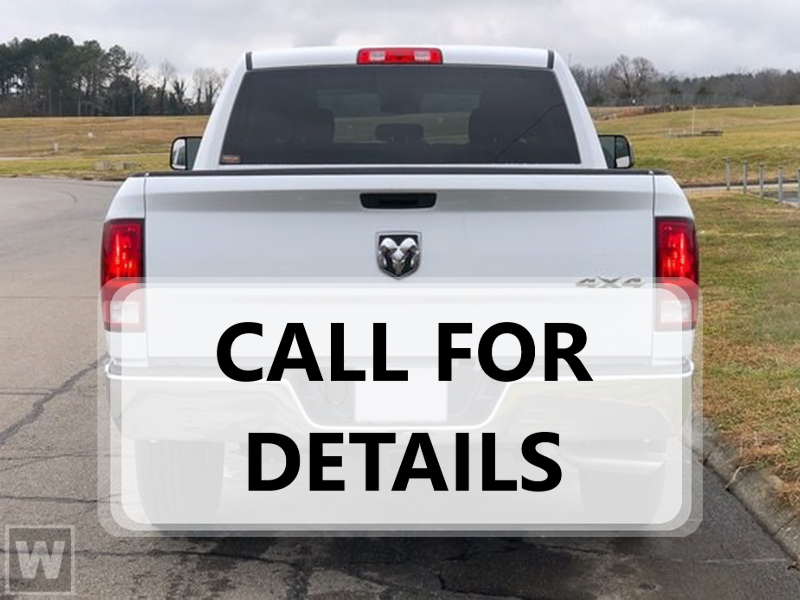 iPod/MP3 Input, Back-Up Camera, Keyless Start, Bluetooth, 4x4, Turbo, Tow Hitch CLICK ME!======KEY F… EATURES INCLUDE: 4x4, Back-Up Camera, iPod/MP3 Input, Bluetooth, Trailer Hitch, Keyless Start. MP3 Player, Privacy Glass, Child Safety Locks, Electronic Stability Control, Brake Assist. ======OPTION PACKAGES: ENGINE: 6.7L I6 CUMMINS TURBO DIESEL Front Bumper Sight Shields, Diesel Exhaust Brake, Tow Hooks, RAM Active Air, Heavy Duty Engine Cooling, Capless Fuel Fill w/o Discriminator, Cummins Turbo Diesel Badge, Dual 730 Amp Maintenance Free Batteries, Supplemental Heater, Selective Catalytic Reduction (Urea), ANTI-SPIN DIFFERENTIAL REAR AXLE, SINGLE DISC REMOTE CD PLAYER Front Center Seat Cushion Storage, TRADESMAN LEVEL 1 EQUIPMENT GROUP Remote Keyless Entry, Satin Chrome Interior Door Handles, POWER ADJUST & HEATED BLACK TOW MIRRORS Trailer Tow Mirrors, Mirror Running Lights, Exterior Mirrors Courtesy Lamps, Exterior Mirrors w/Supplemental Signals, TRANSMISSION: 6-SPEED AUTOMATIC (68RFE) Urethane Shift Knob. ======EXPERTS RAVE: Edmunds.com's review says The steering is light enough that you can turn quickly and maneuver on the highway without much effort. Helping you navigate tight spaces are a standard rearview camera with a crisp display…. ======VISIT US TODAY: Visit All American Chrysler Jeep Dodge of San Angelo today at 4310 Sherwood Way, San Angelo TX and experience our high-standard, pressure-free approach for yourself. As hundreds of drivers in the greater San Angelo area already have, you're certain to see the difference immediately. Plus TT&L and fees. Price contains all applicable dealer incentives and non-limited factory rebates. You may qualify for additional rebates; see dealer for details.